So, I want to start something new this week. I am going to start Friday Favorites! Every Friday I am going to list my favorites of the week. It might be my favorite blogs, blog posts, YouTube videos, songs, pins, etc. I find that this will be something fun, always changing and shouldn’t really make me draw a mind blank while I try to write it! 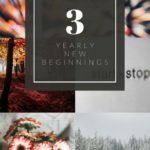 This week I am going to share my Five Favorite Blogs. Although I love my blog…I have five other top favorites! I love more than just these five, but I didn’t want to write a book about them! When you make friends on Facebook, sometimes they are duds, other times they are really cool! That is what happened here! Jess is a wonderful lady and I love that we can relate to so much without ever once actually meeting her in person! 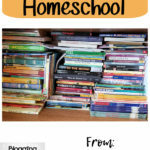 Our kids are similar in age and I have learned quite a bit about homeschooling from her! Heather is a wonderful lady with a beautiful story to tell about her and God! I love getting to know her and love reading her story. She has a great team working with her and this blog is full of ideas for everyone! I love checking in here when I need something for our school and love the freebies and subscriber gifts they have to help us out! 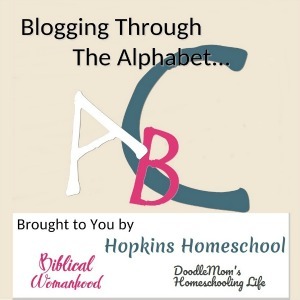 Everywhere you look online you can find blogs that talk about preschool and elementary homeschool. There are tons of them…I am one of them. But over here at Education Possible, they talk about Middle School! This is where I come when I need something for Moe Man, when I need some encouragement being a mom of a teen! Do you have a teen? Head over here and check them out! Jill is a miracle worker! 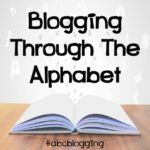 How she blogs, homeschools AND comes up with all the fun printables and activities, I don’t know! All I know is that I love seeing what she comes up with next! Right now I am joining her in the Poppins Book Nook and love to use her E.H.M Members Printables with my kids! Want to be part of the online book club, or need something to do with the kids? Come and check her out! I may be a bit bias on this one…but family is awesome! 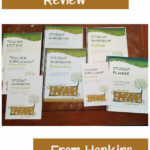 Mama Kautz does it all…homeschooling, homesteading, prepping (not the crazy kind! ), essential oils! She is writing about it all! Have a question on something, this is where to go! I have learned so much about many different things from here. These are just five of my favorites…like I said, I could go on and on with all the ladies and blogs I have met from writing my own. They are all awesome in some way or another! Who are some of your favorite reads? I could always stand to find another good blog to follow! You are so sweet Amanda and I am so honored that you mentioned my site. Have a wonderful Mother’s Day!! My favorites are all adoption blogs. 🙂 A Place Called Simplicity, No Hands But Ours, There’s No Place Like Home, Following Where He Leads, Ordinary Time, A Road Less Traveled, etc. I like this list a lot! I believe I’ll be finding some new blogs to follow as well. I think this is going to be fun to read each week. I look forward to reading more of your suggestions.